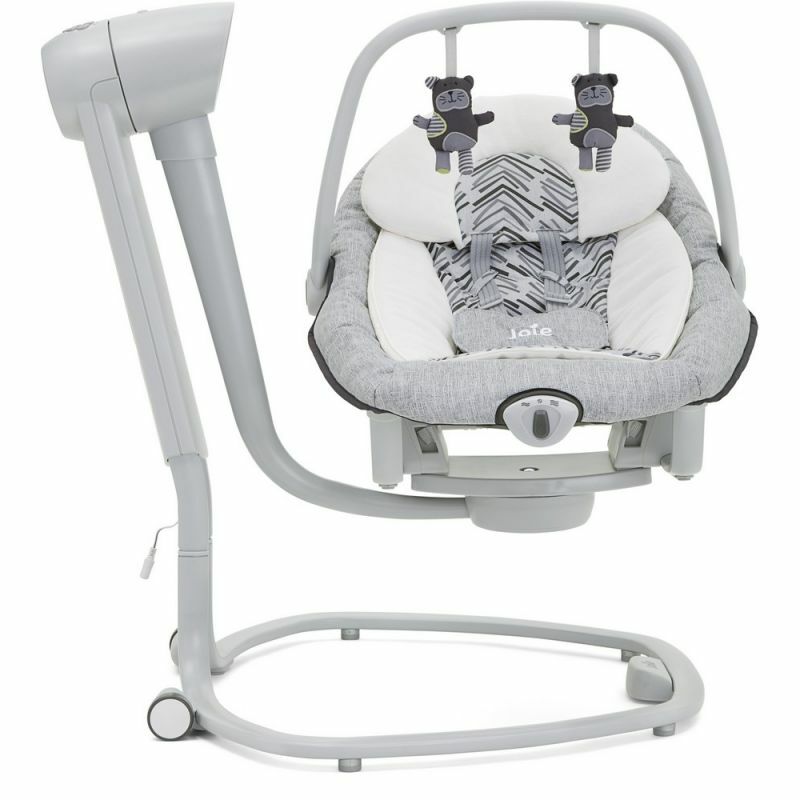 The Serina is a 2 in 1 Rocker and Bouncer, simply lift the swing seat off of the frame to use it as a rocker seat. 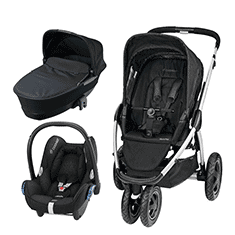 The wheels and integrated handle make it a breeze to move from room to room. 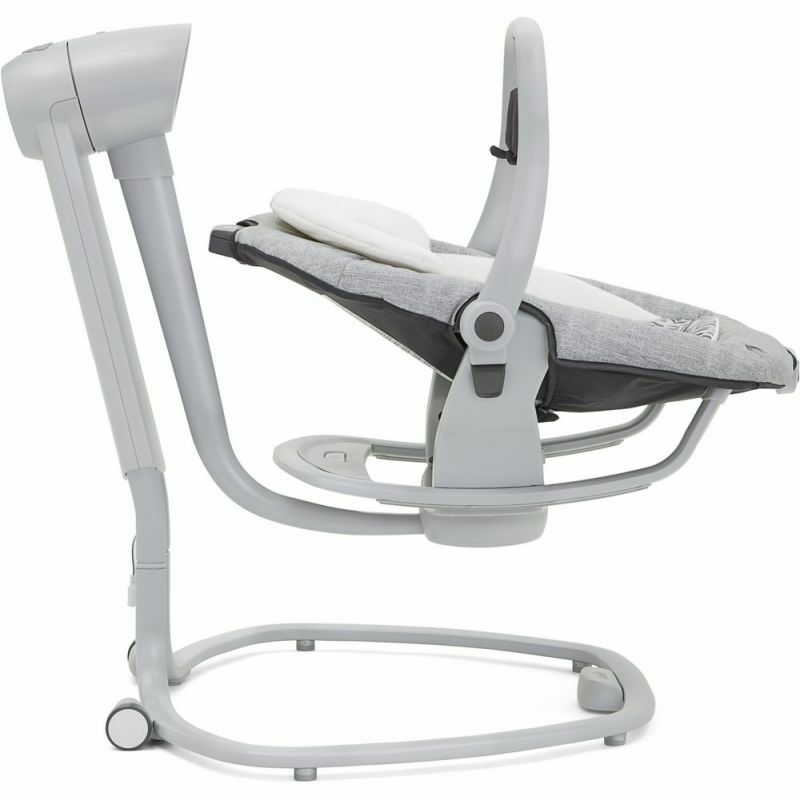 Multiple recline positions mean that your baby will be comfortable from birth all the way up to 13.5kg, and they can happily rock away in two different directions: front to back or side to side. 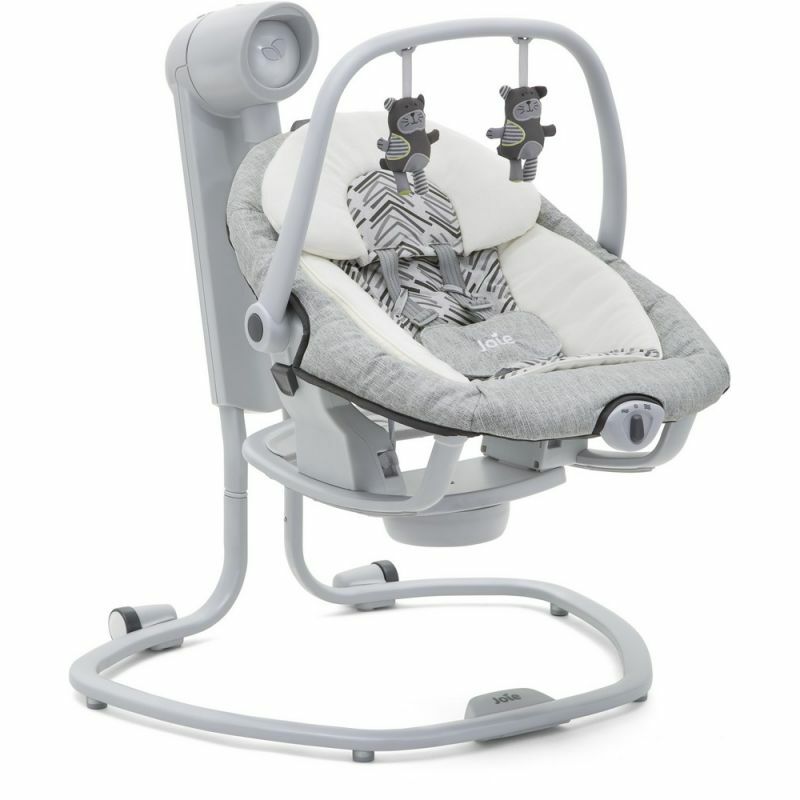 Serina 2 in 1 Rocker is chock full of features, a soft glow nightlight with 4 brightness settings, 6 different swing speeds, 2 speed vibration and a choice of 5 classical music pieces and 5 nature sounds means your baby will be love the choice for a long time, not to mention the 2 dangling plush toys on the handle. 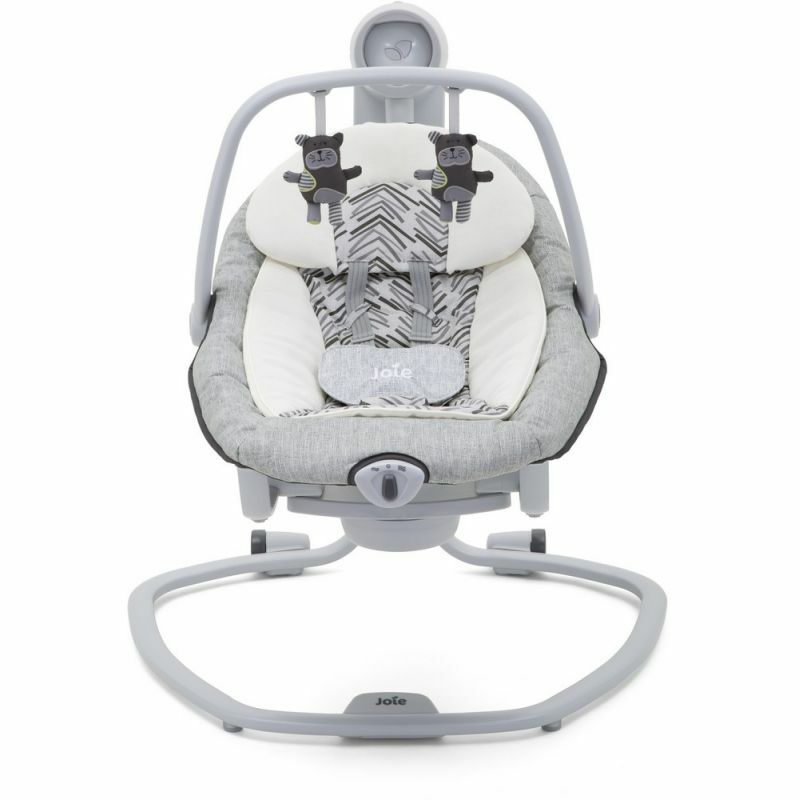 The seat can be operated either by battery power or an A/C power adaptor, and the seat pad can be removed for machine washing, or just as your little one grows.